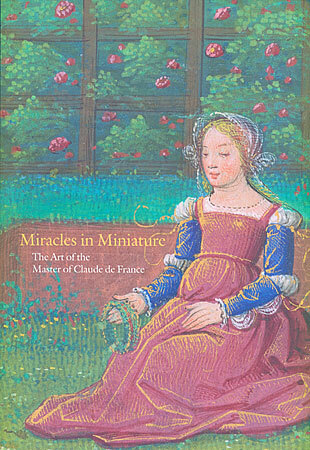 Published to accompany the 2014 Morgan exhibition Miracles in Miniature: The Art of the Master of Claude de France. The Master of Claude de France was one of the last great French illuminators. His was a fine and delicate style, characterized by the use of subtle lilacs, mauves and roses, juxtaposed with chartreuse and royal blue—all applied in tiny, almost invisible brushstrokes. The Claude Master flourished in Tours (in the Loire valley) for only about twelve years (ca. 1508-1520), leaving behind a small but exceptional oeuvre. Over the last several years, the Morgan has acquired a critical mass of the Claude Master's work, the centerpiece of which is the Prayer Book of Claude de France, one of two tiny, jewel-like manuscripts that he painted for the queen of France. The Prayer Book was a personal commission by Queen Claude (first wife of King François I) around the time of her coronation in 1517.